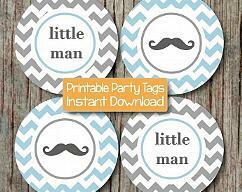 Food Tent Cards add the perfect touch to any party. 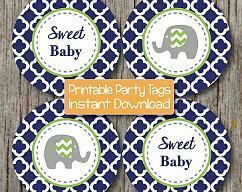 They can be printed on cardstock and used as Food Tent Cards or Name Tent Cards at your next Baby Shower Party, Birthday Party or any event! 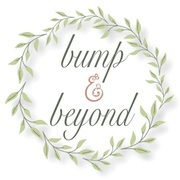 We at Bump and Beyond Designs love to help you celebrate life's precious moments! 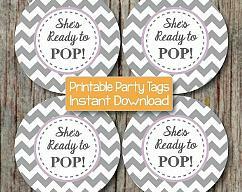 This is a PRINTABLE file and no physical product will be mailed to you. 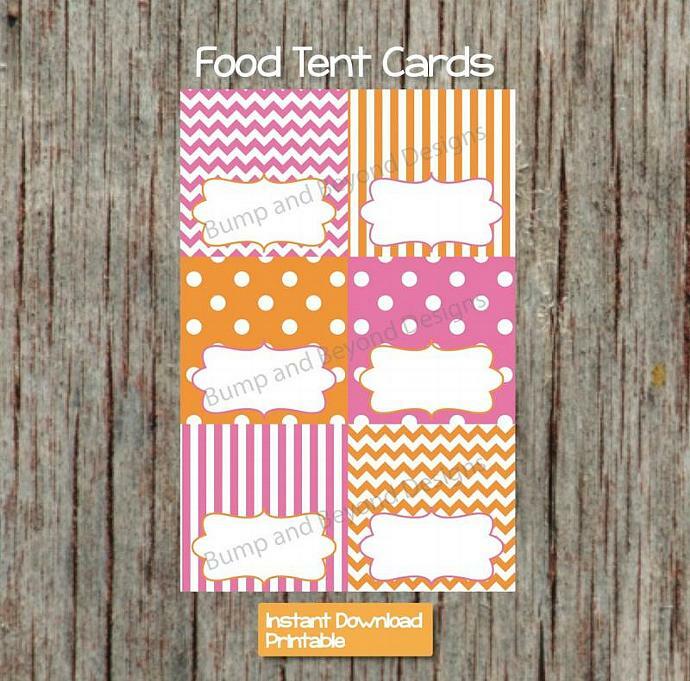 These BLANK printable Food Tent Cards come in 6 super cute designs. 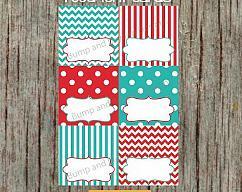 Each Tent Card measures 3.5"x3.5" unfolded, and 1.75"x3.5" once folded for display. You can either print these at home on 110 lb card stock or have them printed at a local print shop.